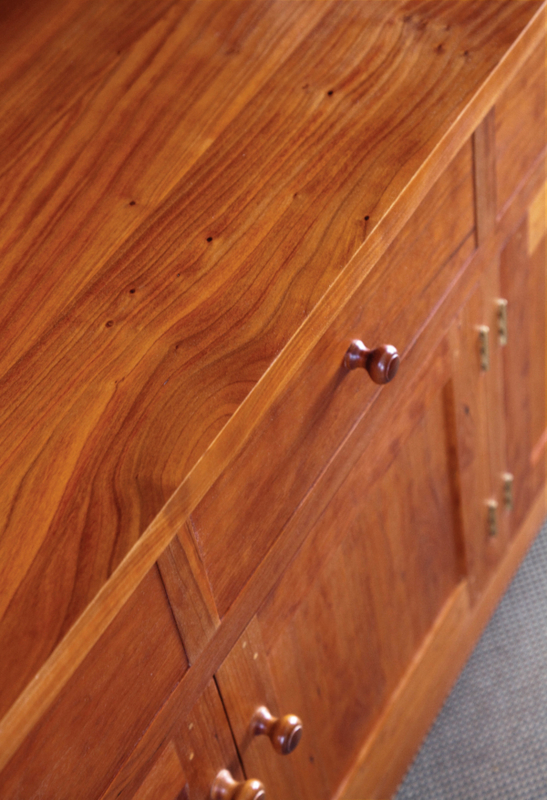 The New Century Sideboard borrows selectively on Asian tradition, incorporating repeating patterns through the liberal use of intricate joinery. Designed to complement our New Century Collection, the Sideboard offers the same juxtaposition of space and structure with linear elements that call attention to design and construction while bringing definition to the surrounding space. 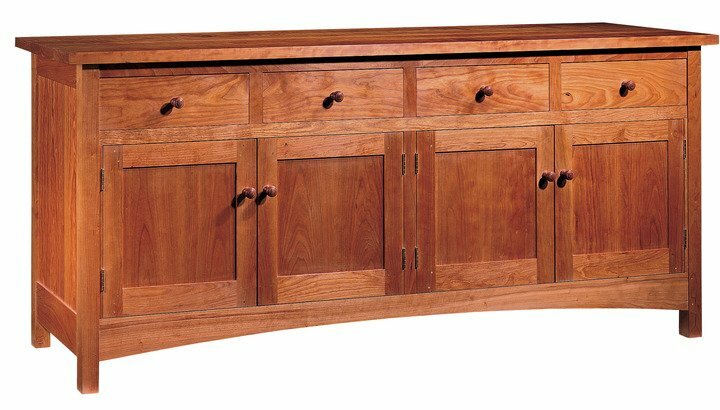 Following the Arts and Crafts method of frame-and-panel construction, the New Century Sideboard features a raised arc that echoes the curves of our Harpswell Chairs and Oval Ring Tables. 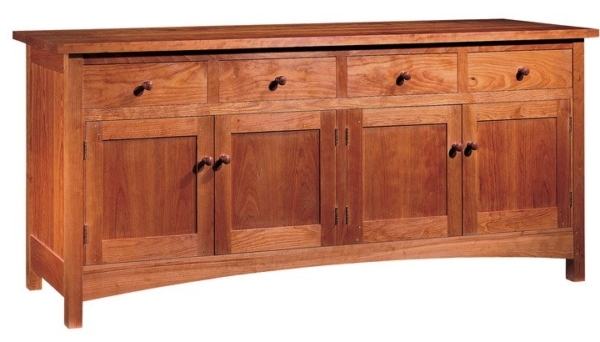 Attractive in any dining room, it provides ample storage for serving pieces and fine china. Behind each cabinet door is an adjustable shelf for customized storage. The Sideboard is crafted out of solid North American hardwood and all four sides of the case are grain matched for a rich appearance.